As the manager of a small business, you will need a lawyer. Even at the very start of your time in business you will need legal advice and help along the way. Beyond protecting you from lawsuit, lawyers are needed to draw up contracts and incorporate your business way before the S Corp filing deadline. However, for many just starting out in business, finding a lawyer can be daunting. It might seem like hiring one is being pessimistic. It will certainly be expensive to hire one, and you might wonder if its worth it. However, hiring a lawyer to advise you can be very easy. The following steps will guarantee you’ll find the lawyer that’s right for you. It is essential you start looking now, when there aren’t any legal problems to solve. The absolutely worst point to hire a lawyer is right after you’ve been sued. While your small business insurance might be able to help out, you don’t want to rely solely on your policy for protection. The modern American legal system is very easy to fall afoul of, and very expensive to get out of. Establishing a relationship with a lawyer now will let you head off a lot of legal trouble before it starts. This will save you a great deal of money and inconvenience. Before even looking at attorneys, you should take a clear look at what legal services you need. There is lot of specialization in the law today. Many lawyers only do certain types of work, such as real estate or business contracts. What legal services you need will determine what sort of lawyers you’re looking for. If you need only a handful of services, you can save money by looking at small firms with less specialization. However, if you’ll need a wide range of services it’s better to look for big firms. Such have a large team of lawyers with various specialties. You pay more but won’t have to hire more lawyers for new services later. A lawyer’s time is expensive. Avoid wasting it. Not all lawyers are created equal. With a glut of lawyers in most parts of the country, you will be spoiled for choice. However, the quality of the lawyer you hire is essential to protecting yourself. After you have a few recommendations, look them over on business sites and try to find out about their clients. The more work you do at this step, the better the pool of potential lawyers you’ll get. After you’ve narrowed the potentials to one or two, you’ll want to meet them in person. At this first interview the lawyer will get a sense of what services you need, and you’ll be free to ask them questions. Feel free to ask them direct questions about their early days starting a law firm. In particular, ask them about what connections they have in the community. Their ability to talk you out of legal problems is important. Also ask them if they’ve represented clients with your needs before. Don’t be afraid to be blunt, a good lawyer always prefers the clear truth. 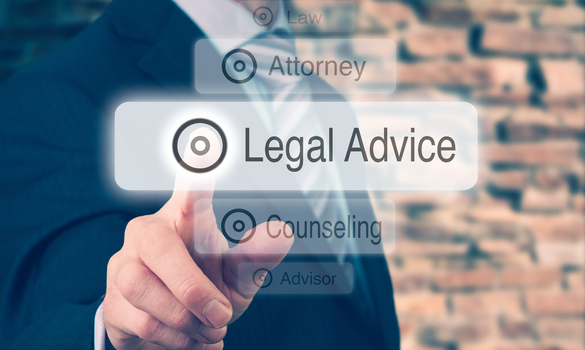 While many fear lawyer’s legal advice is too expensive, they can be reasoned with. At present there are far more lawyers in most areas of the US for the work available. As a result, you have a lot of power in determining rates. Lawyers calculate fees in several ways. They may charge flat rates for certain simple tasks, but mostly they charge by the hour. Firms will also divide the hour into various billing segments, from 6 minutes to half an hour. Ask plenty of questions and as you negotiate. Moreover, insist on an itemized bill. Don’t worry, if you’re honest about your means to pay and are prepared to deal, you’ll get a good rate. Every good business needs a lawyer for legal advice, period. If you don’t pay for one now, you will pay much more when you’re in trouble. However, the process of finding a lawyer doesn’t have to be hard. Just remember to do your research and be honest when you meet the attorney. The lawyers want your business and following these five steps will make sure you hire a good one.